Have you ever watched an infomercial or a TV ad and hear the pitchman say the great value of the product but then he says, “Wait, there’s more. If you call in the next 15 minutes…” and then proceeds to add on some “great” additional product or feature. An electronic flyswatter anyone? 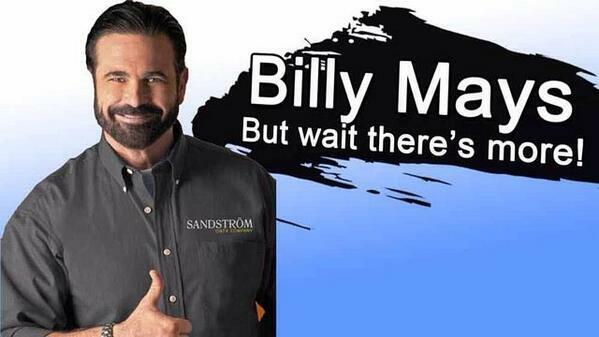 There may be no resemblance between Jesus and Billy Mays, but Jesus had some “Wait, there’s more” moments that were unlike anything that had been heard of before or since. Jesus’ pitch in John 10 is full of wait there’s more moments. First, he says that if you enter life with him, you will be saved. That life will lead to fulfilling of our needs, joy and abundance. Wait, there’s more, you will know Jesus and through that knowledge you will know God. Wait, there’s more, you will join with others who also enter life with Jesus and there will be unity and community. Jesus says that the reason this is all possible is because he is willing to lay down his life for us. His sacrifice and our acceptance of him is a great gift for us. But what are you doing with this gift? Is your life reflecting the abundance that Christ provides? Is your knowledge of God expanding? Is your sense of community with other believers getting stronger or are you feeling more isolated and distant? Jesus’ words in John 10 are more than a pitch but they are promises of a life that is beyond anything we can imagine, even this side of eternity. Are you getting the most out of this life? Perhaps you need to make the commitment now to let Christ show you what the abundant life looks like. What will you do today to help you know God more? To experience the abundance that is available? To partner with Jesus in building his community? This entry was posted in Uncategorized and tagged billy mays, christian living, Jesus, spiritual maturity by Scott Jeffries. Bookmark the permalink.